Tags: Audio mastering EQ tips. This is the online version of AudioSpectro FIRE, a tool that can be used to assess the track frequency balance. 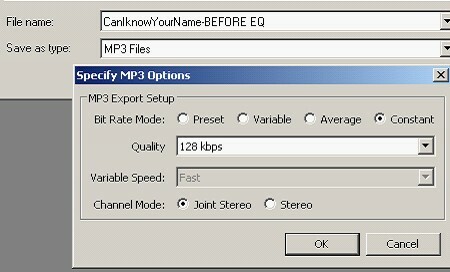 This characteristic can be used to measure the quality of the audio tracks in WAV or MP3 version. The overall quality is measured in terms of %frequency balance, a rating system that will compare your tracks to professionally produced/commercially released tracks in rock, pop and country genre that serves as the “reference”. 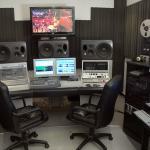 Before you can measure the quality of your audio material; raw data must be generated. This raw data is a text file (.txt) that will be uploaded to the online version of this tool (later on). a.) Audacity – download and install this open-source software. The recommended is the latest version 2.0.2 although 2.0.0. This is tested under Windows operating system. 1.) Make sure Audacity is installed first in your computer. 2.) Go to this URL. 4.) After downloading, double-click the installer and proceed to installation. Use the default installation path provided by the installer. 5.) Launch Audacity, go to Edit — > Preferences — > Libraries. c.) TT Dynamic range meter– open this page in the browser and scroll down. d.) (OPTIONAL) Voxengo R8brain sample rate converter (if the source audio to be analyzed is not using 44100Hz as the sample rate). Make a backup of your file in advance to prevent from accidental overwriting. If you see a warning, just select “Make a copy of the files before editing (safer)” as the Import method. If the sample rate of your audio file is not 44.1 KHz (e.g. 48 KHz or 96 KHz); you should convert it to 44.1 KHz using Voxengo R8brain. 2.) After loading the file in Audacity, go to File — > Export. In the “Save as type”, select “WAV (Microsoft) signed 16-bit PCM”. Save the exported 16-bit WAV file to your Desktop with the same filename. This file will be used for adjusting the volume of your track to -20dB RMS. There should be two values since the audio mix down file is in the stereo format. 4.) Calculate the needed volume adjustment by entering the RMS total loudness dB data for both LEFT and RIGHT channels in the calculator below. This is the needed adjustment to normalize the loudness of your track to -20dB RMS. For example, inputting -20.6dB and -20.5dB as the RMS values (for LEFT and RIGHT) will provide a dB adjustment value of +3.47dB. 5.) 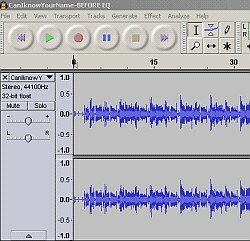 Launch Audacity again and open your original source audio file (the file you open in Step1). Go to Effect — > Amplify. Enter the recommended dB adjustment (based on the above calculator) in the “Amplification (dB)”. For example (using the +3.47dB adjustment as illustrated previously). 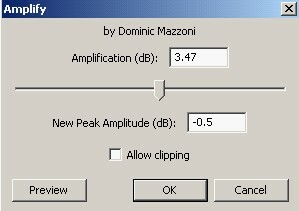 Don’t enter anything on “New Peak Amplitude (dB)“. Leave it as default. Click OK to implement the setting.